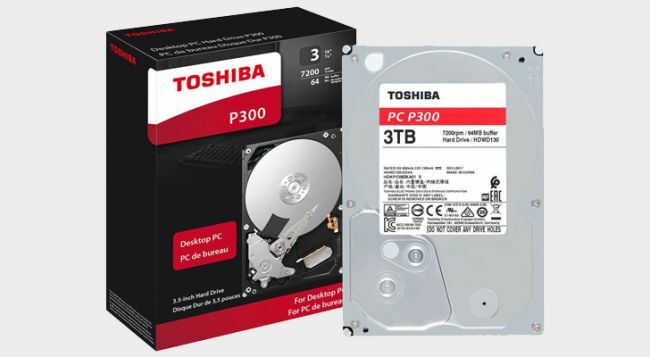 Toshiba's 7,200 RPM P300 hard drive is on sale. Solid state drives are great, but hard drives will always win out in terms of GB per dollar. If you need to add a massive amount of storage to your PC (or NAS, or security system, or whatever else), Toshiba's P300 3TB hard drive is just $64.99 right now. Not only is this currently one of the cheapest 3TB hard drives you can buy, it also has an average 4/5 star rating on Newegg (out of 400 reviews). It's a standard 7,200 RPM drive with a 64MB cache. Toshiba also provides a two-year limited warranty. You can buy the P300 3TB from Newegg. Make sure to use coupon code EMCPXPR29 at checkout to get the full discount.